Log-on with your own user name and password. 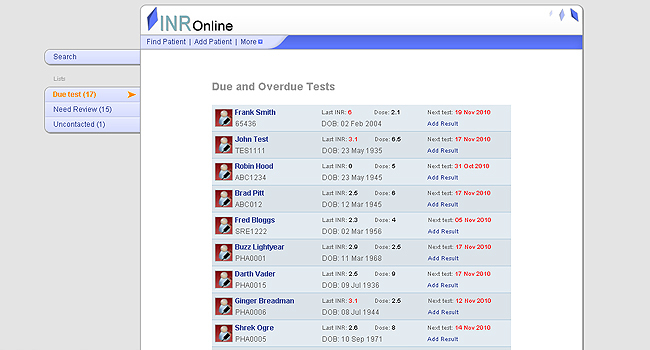 Your home page will show how many patients are due for a test today and how many are overdue. 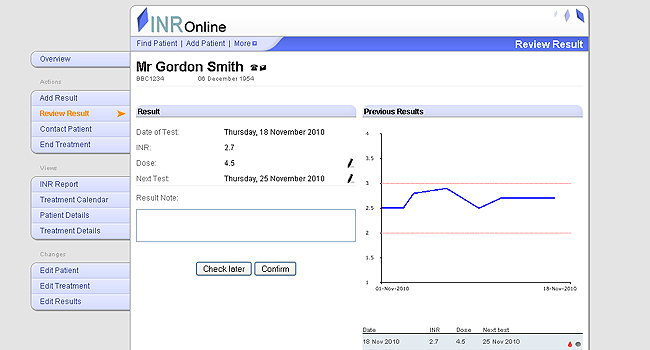 Select Add new result and enter the INR result. Immediately you will be given a dose recommendation and the date of the next test. 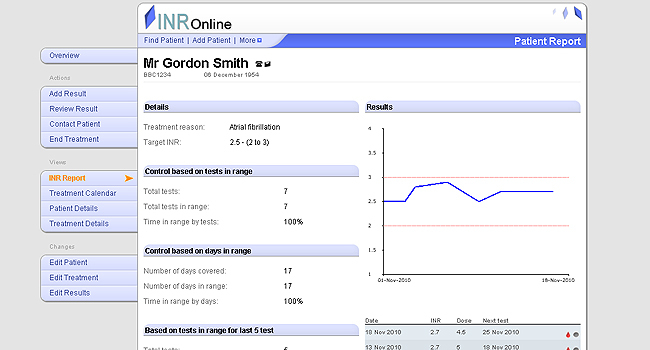 If the result is outside a specified range the test will be saved for review by the doctor. 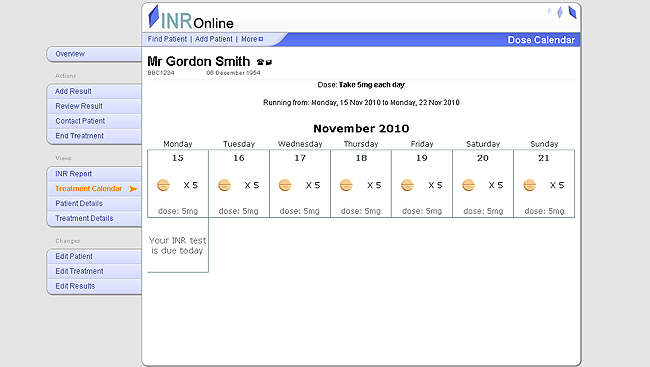 INR online allows you to edit the dose and the date of the next test. The person supervising treatment can set any result for review by the doctor. You can print out a calendar for your patient or send it in an e-mail. This will help your patients with compliance.